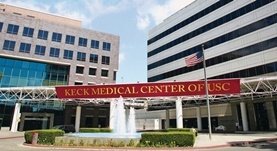 Dr. Jacek Pinski is a specialist in oncology in Los Angeles, California and he is working in collaboration with many local hospitals, such as Keck Medical Center of USC and USC Norris Cancer Hospital. He graduated from Goethe University Frankfurt Medical Faculty where he got his medical degree. He finished his residency program in internal medicine at Ochsner Clinic Foundation. He also did a fellowship in medical oncology at Johns Hopkins University. The doctor is board certified in medical oncology and he has been practicing for more than 20 years. Dr. Jacek Pinski has contributed to 3 publications. Effects of luteinizing hormone receptor signaling in prostate cancer cells. 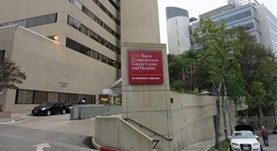 Xiong, S.,Wang, Q.,Liu, S. V.,Montgomery, R. B.,Stanczyk, F. Z.,Vallone, J. G.,Merin, N. M.,Pinski, J.; Prostate. 2014 Nov 14. Phase I, Dose-Escalation Study of the Targeted Cytotoxic LHRH Analog AEZS-108 in Patients with Castration- and Taxane-Resistant Prostate Cancer. Liu, S. V.,Tsao-Wei, D. D.,Xiong, S.,Groshen, S.,Dorff, T. B.,Quinn, D. I.,Tai, Y. C.,Engel, J.,Hawes, D.,Schally, A. V.,Pinski, J.; Clin. Cancer Res.. 2014 Oct 04. A Phase II trial of a combination herbal supplement for men with biochemically recurrent prostate cancer. Dorff, T. B.,Groshen, S.,Tsao-Wei, D. D.,Xiong, S.,Gross, M. E.,Vogelzang, N.,Quinn, D. I.,Pinski, J. K.; Prostate Cancer Prostatic Dis.. 2014 Sep 24.